L.A. Weekly writer Simone Wilson’s piece, featured in today’s L.A. Weekly, on the city’s hit and run epidemic has so many low points that it’s hard to know where to start. The low points aren’t issues with her reporting, but the revealed incompetence and indifference of the LAPD, the tragedies of specific crashes she mentions, and the cluelessness of city officials. Let’s start with the most revealing statistic. Nationally, 11% of all traffic crashes are hit and runs. In Los Angeles, that number is 48%. That’s right, nearly half of car crashes where the LAPD takes a report are classified hit and runs. Later in the story Wilson details that the LAPD doesn’t know how many people are hurt and killed in crashes or hit and runs in the city every year, and tried to get the Weekly to pay for them to do this basic research. Still later, top brass admit that most hit and runs don’t get thorough investigations unless someone dies. Even though I read stories about hit and run crashes nearly every day, I was still stunned when Wilson read me the 48% number during our interview. In truth there are several shocking revelations in the story. There are five “pages” dedicated to it on The Weekly’s website. For simplicity’s sake, here is one quote from each page that illustrates just how bad the hit and run epidemic is, and how wholly unprepared the city is for dealing with it. The Weekly has done the public a service by printing this piece. The question that remains is whether it is enough to change the way that the city treats hit and run crashes. For Wendy Greuel, Eric Garcetti, Jan Perry and Kevin James, is a front page story in the weekly enough to make hit and runs a front page issue in the 2013 mayoral election? In keeping with a system that essentially gives motorists who mow down pedestrians a free pass. The way to murder someone in the U.S. is to just run them down in the street. The punishment? 24 hour probation and a case of beer from the judge. It would certainly be possible to create a database of pedestiran hit-n-runs using Tweets, Nixle and plain old News Alerts (on Google, Bing, Yahoo, etc.). If Ted Rogers can do it on Biking In L.A.
for all bicycle fatalities in the 7 counties of Southern California, this is not an impossible task. So what’s the methodology behind that 48% of crashes number? It seems a bit hard to believe. Given the statement in the article that there are around 4,000 hit and runs in L.A. city, the implication is that there are only around 8,000 crashes per year in the city. Doesn’t that seem a bit low? CHP indicates almost 26,000 crashes resulting in property damage in L.A. city in 2010 (http://www.chp.ca.gov/switrs/pdf/2010-sec8.pdf). A rate of 15% is still terrible, but that’s a far cry from 48%. That still leaves open the question of where the 4,000 number comes from. CHP reports nearly 15,000 hit and run collisions resulting in injuries for the state (http://www.chp.ca.gov/switrs/pdf/2010-sec7.pdf); so around 27% of all hit and runs in the state would need to be in L.A. city. That also sounds unlikely, though not impossible. Hold on; might be a good idea to go back and reread. 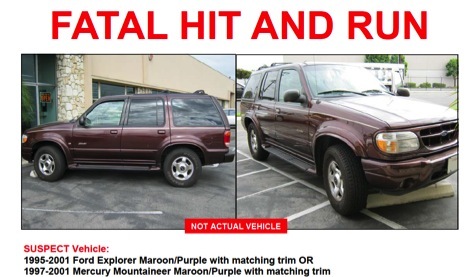 The LAPD records the total number of hit-and-runs it handles — fender benders included — at 20k. 4k is the number of *injury/fatal* hit-and-runs estimated for LA City — this looks like it comes from SWITRS. There were 50,265 total reported accidents in L.A. city in 2009 according to SWIRTS. There were 25,270 fatal or injury accidents, of which 4,000 were supposedly hit and runs (approx 16%). If we assume that the 50,265 total accident number from SWIRTS is comparable to the unsourced 20,000 number, then the total rate of hit and runs would be nearly 40%. Is there any reason to believe that those numbers should be comparable? If so, why are they so far out of line with the rate of hit and run injury/fatality accidents? In any case, where does the 48% number come from? Is there some official LA city accident total that’s lower than the SWIRTS number? Please stop calling them accidents unless you’re really sure the collisions were unavoidable. You’re right, it’s a terrible linguistic habit and absolutely the wrong word in this context. The objection to the term “accident” implies (to me at least) the idea that some drivers head out on their daily errands or commutes planning to mow down any pedestrian within range. I’m not a lawyer, but I think the opposite of “accidental” is “intentional”, and the concept of “intent” is important in criminal law. the victims in these cases are poor, probably members of minority groups, and may even be homeless–literally and figuratively (to use an old expression) “no account”. This isn’t “equal justice under law”, but it reflects a common attitude in our society. I’m sure that many Southern California residents would suspect that the reason many drivers flee the scene is their immigration/citizenshlp status. I’m an Attorney and an area of my practice is personal injury. While I agree with your argument of “accident” vs. “intent”, statute provides that a hit in run in itself is a CRIME. Therefore, it IS the police’s duty to find the culprits in these cases. The 48% figure seems high to me, as well. In meetings I’ve had with the LAPD, they’ve pegged the percentage of hit-and-runs at roughly 33% of all reported collisions, based on COMPSTAT data. But even that is far too high. The answer is NO. Unless WE the cycling and safe streets advocates KEEP HAMMERING, KEEP HOUNDING, KEEP DEPT OF DIYing, the politicians will do NOTHING. They are already slipping. People on all sides were pissed at them but I miss Alex Thompson and Stephen Box because they brought the “crazy” and the pitch forks and the fire to place directly under the establishment’s asses. Everyone around here has gotten all cozy and chummy (myself included) with the politicians and city. I miss those two because they made people like me look rational. I think you are partially correct on the terminology. “Accident” does mean “without intent”. However, it is commonly understood that it also implies that something happened that the person was actively trying to avoid. When I “accidentally” slip and fall down the stairs, it is understood that I was actively trying to avoid that happening. If I close my eyes and run around and fall down the stairs, it’s not exactly an accident. Now clearly drivers are trying not to run into people. But there is a valid expectation that when you are doing something inherently dangerous, we expect you to try a bit harder. We treat driving a car as such a commonplace thing that you are not responsible for lapses of attention or clearly dangerous behavior just because the driver “didn’t intend” to hit the person. It’s this sloppy use of the word “accident” that helps lead to people driving too fast while talking on the phone hitting and killing someone, and then getting off with zero consequences because it was just an “accident”. This is why people are objecting to the use of the term. LAck of intent does not imply lack of responsibility. The 20k number isn’t unsourced — the Weekly article says it’s the number of hit/runs *recorded by LAPD*. I imagine there *is* an LAPD collision total (not cited in the article) that’s lower than the SWITRS total for everything within LA city limits, as I understand SWITRS takes into account collisions handled by CHP, LASD, Airport Police, etc. that may not necessarily make it into LAPD’s records. And another point, made by a commenter on a different site, that bears repeating here: it only goes into the database if a collision report gets prepared. Because they’re considered crimes, hit-and-run collisions are more likely to get reported to the cops and to make it into the database than are run-of-the-mill fender-benders where both parties stop and exchange info like they’re supposed to. So yes, hit-and-runs’ percentage of all collisions is probably inflated in the article and in the stats. Niall, I would say that the number of hit-and-runs is a very hard number to pin down. It might be over-reported in some parts of town, but under-reported in others. In South L.A., unless they are fatal, or shockingly brutal to the public’s sensibilities, they are rarely reported. I know more people personally in the area that have been struck in the past few months by hit-and-run drivers than were reported to have been hit in South LA all of last year. I would hazard that a significant majority are not reported. My point here is that the article consistently compares the – highly questionable – 48% number with the nationwide average of 11%, though it’s unlikely that those numbers are derived from comparable statistics. Additionally, most of the article concerns injury/fatal hit and runs where the percentage is obviously much lower and much more in line with state averages. It’s essentially a sensationalistic and irresponsible bait and switch, which has encouraged a bunch of race-baiting and anti-immigrant sentiment in the article’s comments (of course almost anything written in the Weekly seems to encourage that these days). Let’s assume the 20,000 hit and run total and the 48% are accurate measures (most other sources seem to have put the ratio in L.A. between 32 and 38% for all collisions). That would imply 41,667 total crashes reported to LAPD. Assuming that the SWIRTS ratio of reported injury/fatal to property damage crashes for L.A. city (approximately 1:1) is similar to the ratio in LAPD data, that would mean around 21,000 injury/fatal crashes (4,000 or 19% of which are hit and run) and around 21,000 non-injury crashes (17,000 or 81% of which are hit and run). That 4,000 hit and run injury/fatal crashes number was apparently sourced from statewide stats by Alex Thompson, so it can’t really be compared with the LAPD-only numbers (whatever they actually may be). It’s not clear what it should be compared to, but the most obvious data point would be the SWIRTS data for L.A. City which would imply 16% of injury/fatal crashes are hit and runs. That could, in turn, imply an even higher percentage of reported non-injury crashes are hit and runs. Maybe those are the right numbers, but what use are collision statistics where 81+% of reported property damage collisions are hit and runs? Do the national and state averages somehow have better reporting on non-injury collisions? Are they including them at all? The fact that 16-19% of all injury/fatal collisions in Los Angeles could be hit and runs is absolutely terrifying, but that doesn’t excuse shoddy and sensationalistic reporting. Drivers do sometimes cause collisions with the intent to cause property damage, injury or death. Those incidents may be comparably rare, but they exist (a number have been reported here on Streetsblog). Referring to all collisions as accidents is therefore erroneous, and may be disrespectful or hurtful to the victims of such collisions. While most collisions are essentially accidental (in some sense or another), not all of them are. Thanks for the clarification. Was hard to understand your point from the original comment. I agree that something’s off here. Is there a reason the LAPD *exists*? Given that its priority seems to be ” to protect the city from lawsuits after Los Angeles police crash into citizens or citizens’ vehicles with their patrol cars. “, it doesn’t seem useful. The murderers and insane population without a conscience are out there driving around waiting for a target, not safe even if in your’e own home, one of those crazies will plow right into the house. Such a sick disgusting world we live in now.